Exotic hardwood flooring is loved by architects, designers and homeowners for its beauty, rarity and durability. The wide variation in color and pattern within each exotic hardwood species creates a single wood plank like none other – and an overall floor pattern that cannot be duplicated. Exotic hardwood is much more valuable than domestic wood flooring and a great way to increase the value of your home. Not only will your wood floors last for decades, with proper care, they will become more beautiful with age. Although exotic hardwood comes from many parts of the world, Brazilian species are among the hardest woods and most durable of all. 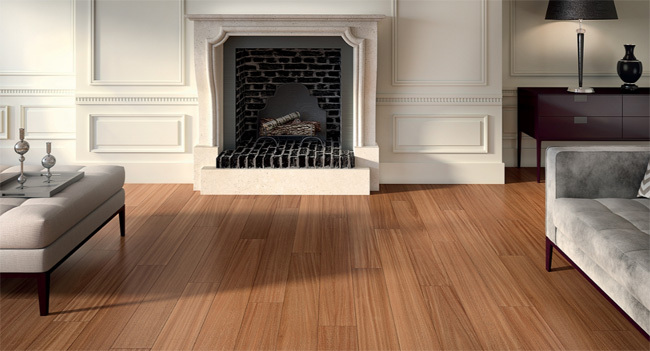 The Brazilian manufacturer, Indusparquet, is the world’s leading producer of premium exotic hardwood flooring. Slaughterbeck Floorsis proud to carry Indusparquet’s top of the line products and invites you to visit our flooring showroom in Campbell, CA to experience the beauty of exotic Brazilian hardwood yourself. Slaughterbeck Floors carries over 35 species of wood from 25 manufacturers and provides samples for you to take home to test with your décor. Since a hardwood’s value is determined in part by its ability to resist indentation, scratches and continuous wear and tear, the harder a wood, the higher its value on the Janka Scale. Although domestic hardwood is strong, it ranks in the medium to low range on the wood hardness scale; exotic wood, on the other hand, ranks higher because it is much denser. In 1970, brothers Kiko and Jose Antonio founded Indusparquet in the city of Tiete in the Brazilian state of Sao Paulo. The company began as a saw mill owned by their parents and has remained family owned and operated since. Although Indusparquet has grown to include three manufacturing plants in Brazil and distribution centers around the world, it has not lost its focus on quality craftsmanship, sustainability and technology. 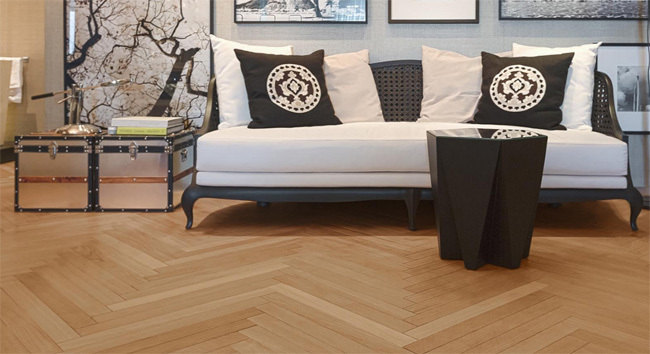 Indusparquet invests heavily in new technology to continually improve its wood products and maintain its lead in the hardwood flooring industry. 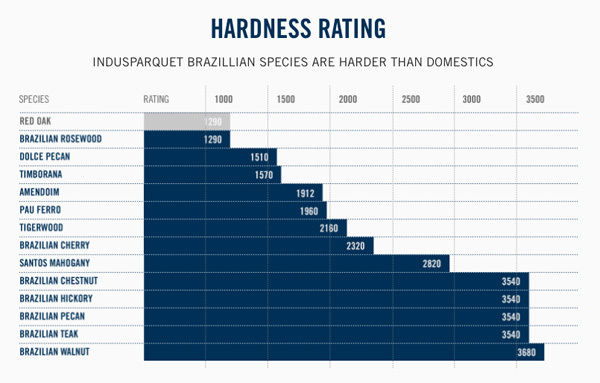 Quality control is also paramount; even though Brazilian hardwood is naturally durable, all of Indusparquet’s products are put through rigorous pre-sales quality assurance tests for abrasion, scratch resistance, impact resistance and finish adherence. An exclusive natural drying process where the lumber is left to breathe and de-moisturize in fresh air for over 6 months, creating a more durable, dimensionally stable product. Planks are cut at random lengths longer than the standard 48” of most imports. The longer length mix delivers superlative visual balance and beauty when it becomes a floor. A crystal clear, nine-coat finish that allows the rich colors and textures of each wood species to shine through. The process is meticulous and time-consuming but once completed, the floors require minimal maintenance and no waxing. A high-performance, aluminum-oxide based treatment providing unprecedented scratch and abrasion resistance designed to meet the high-traffic needs of commercial spaces. 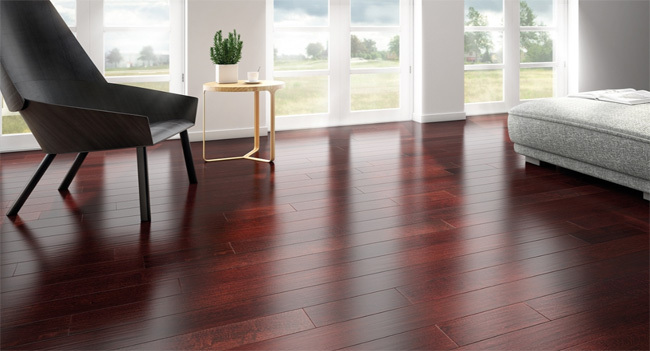 California Classics’ engineered hardwood floorslook and feel exactly the same as solid wood floors, but they offer significant benefits that natural wood does not. More beautiful – Engineered hardwood flooring allows for wider and variable width planks, such as 4″/6″/8″. Solid planks can suffer from expansion and contraction in changing seasons, leaving unsightly gaps and cracks, as well as “cupping” from moisture and shrinkage over a long period of time. More durable – Engineered flooring is composed of seven cross-stacked layers, which make it more resistant to humidity and moisture, unlike a strip of solid wood, which can bend or bow, especially in longer planks. More versatile – Engineered hardwood is more flexible and convenient in application, allowing it to be installed on any grade level. This means it can be floated, glued down directly on a concrete slab, and even nailed or stapled to a wood sub-floor in any room of any home. 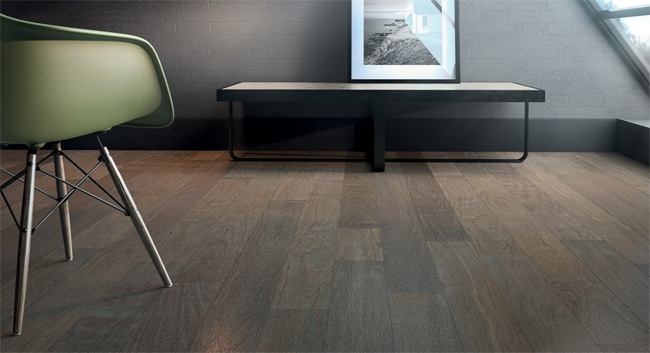 Precision sanded planks for a modern, clean and sleek look. A variety of textures are available, including hand-scraped, wire-brushed and custom hand-stained. An eco-friendly design option that repurposes wood byproducts into easy to install, multi-textured mosaic squares or lines. A fresh take on tile, these sculptured wall treatments will forever change the way you think and feel about walls. 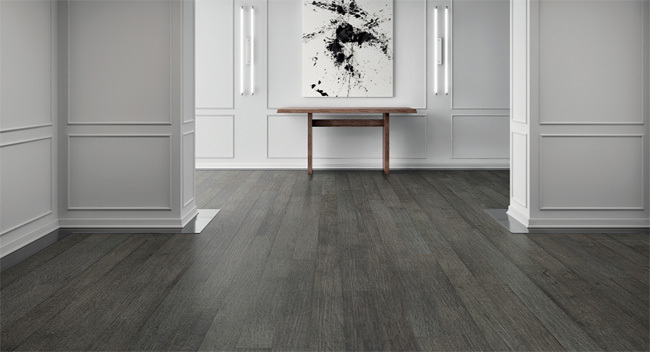 Glowing gold or grey patina metallic wood finishes exude a modern, sophisticated look and feature an extra-thick layer of exotic engineered hardwood bonded to a solid hardwood surface to ensure the stability of each plank. Indusparquet abides by FSC (Forest Steward Council) guidelines, Brazil’s highest environmental standard for timber products from managed forests. All raw materials are sourced from plantations that carry the forest management certification issued by the Brazilian Institute of Environment and Renewable Resources. These strict guidelines allow only 8 trees per ¾ acre can be removed; endangered trees and trees that provide food for animals cannot be touched. Also, every tree harvested must be tagged with a GPS ID and tracked throughout the manufacturing process. With the goal of zero waste, Indusparquet’s manufacturing process consumes 100% of all timber that arrives at its factories. Timber byproducts either getrecycled into creative wood designs or become fuel for the boilers. Let our experienced staff help you find the right flooring for your home or office. Besides exotic hardwoods, we carry domestic hardwoods, laminates, carpet, cork, tile, vinyl and linoleum floors.